1st or second choice candidates who seek for Federal University, Wukari, Taraba State (FUWukari), Admission 2019/2020 should see requirements, Application Process and be Ready for the Unified Tertiary Matriculation Examination. VERY IMPORTANT: The Federal University, Wukari, Taraba State (FUWukari) Post UTME Admission Form for the 2019/2020 is not available at the moment…we will advice that you to stick around or better bookmark this very page once the FUWukari Post UTME Admission Form 2019 is out this page will be updated immediately. While waiting for the Federal University, Wukari, Taraba State (FUWukari) Post UTME Admission Form/DE Screening Exercise for the 2019/2020 see how it was conducted previously. Only UTME and DE Candidates who selected Federal University Wukari as their First or Second choice of institution are eligible for the screening exercise. 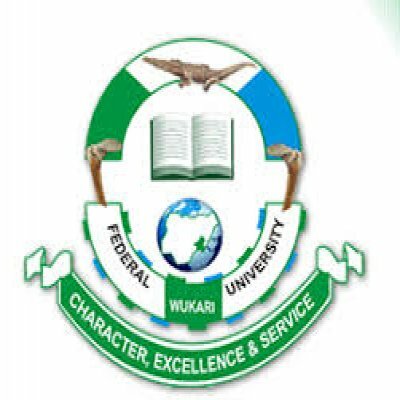 How to Apply for Federal University Wukari Admission Screening. All candidates are advised to click on Pre-Admission Screening Instructions and carefully read the Registration Instructions. On the Admission Menu displayed on the left-hand side, click Pre-Admission Screening Instruction and read carefully. Type in your JAMB Registration Number and SURNAME in the boxes provided. Carefully type in your JAMB Registration Number as any error committed will not allow your details to be displayed. Registration fee for each candidate is Two Thousand Naira (N2,000.00) only, excluding bank charges. Click on Make Payment link to go to REMITA PLATFORM. Enter Card Expiry Date and the card CVV2 (the 3 digits on the reverse side of the card and lastly enter your card pin; and then click on Pay. Upon successful payment, Login and click on Continue Registration Link on the main menu. Fill in your other bio-data and necessary details truthfully on the webpage. All candidates should upload their Passports by clicking on Browse button and select your picture. Your Passport must not be more than 25KB. Picture must be digital passport photograph. Resolution must be at least 200 DPI. Dimension should not be less than 600 × 600 pixels. All Direct Entry (DE) candidates and those who choose FUW as their choice should complete the programme of choice and click on Save then click OK on the message dialog box. On completion of choice of Institution click Next Step button. To add more Higher Academic Qualifications click on qualifications dropdown to select your additional qualifications, click on save; and then Click on Next Step. Thank you so much for taking a Tour on this post (Federal University, Wukari, Taraba State (FUWukari), post utme admission form 2019/2020 academic session) we have take time to officially dish out Top Information and Now it’s turn to show us a little gratitude. Help us spread the information by making use of the sharing button Below, and don’t forget to subscribe to get great News and other Information, we wish you success in all your endeavors…Stick around for more Info.